As many of you know, our little boy arrived slightly early (click here for adorable pics). He was scheduled to be delivered March 12th, but made his debut March 6th instead. It's been a lot easier recovering from this c-section than it was with Sweet Pea's, but I'm still a little sore and slow moving around. I'll have Hubby home for a few weeks to help and my mother-in-law is here with us this week. My parents will also come in a couple weeks to help with the kids and help us get ready to move. Because I knew I'd be recovering from a C-section, adjusting to being mommy to my four kids, and getting ready to move into our new home all within a month, I've arranged for some of my favorite bloggers to help me out. So I'd like to Announce the Helping Little Hands Favorite Blogs Tour. 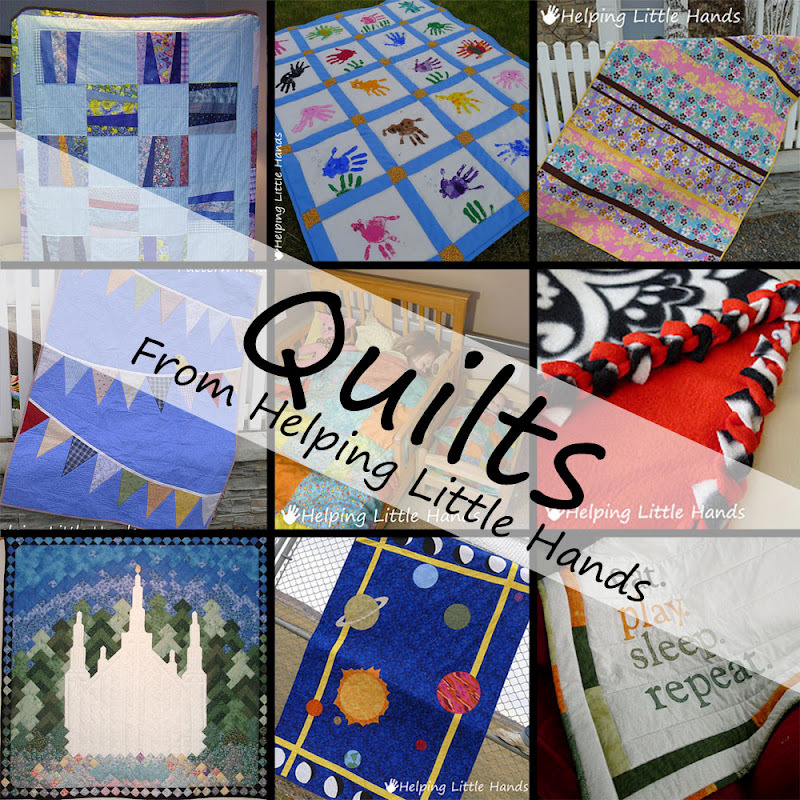 I've asked some of my favorite bloggers to share a post highlighting a few of their favorite past projects from their blog in a guest post on Helping Little Hands over the next month. (Don't worry, I'll be checking in occasionally with updates about how we're adjusting, some project sneak peeks, and updates on how the house is coming.) I thought it would be a fun way for me to introduce you to some of my favorite blogs...big and small...and let you see the best they have to offer. All of these blogs are blogs that I follow and visit regularly for inspiration. I hope you'll LOVE them as much as I do. 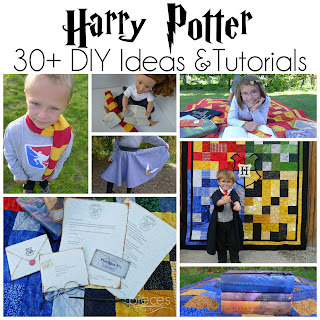 The Favorite Blogs Tour won't start until next week, but to kick things off, I thought I'd start by sharing a few of my favorite projects from Helping Little Hands...or rather some of these are favorite projects and some more like themes because I seem to keep reinventing some of my favorite projects. My all time favorite project to date has been these Front-Facing Bookshelves Hubby and I made a little over a year ago. They were inexpensive and easy, and SO functional, while at the same time looking great. They have definitely stood the test of time. Children's books are another favorite theme on my blog, and you can browse my children's books posts here. 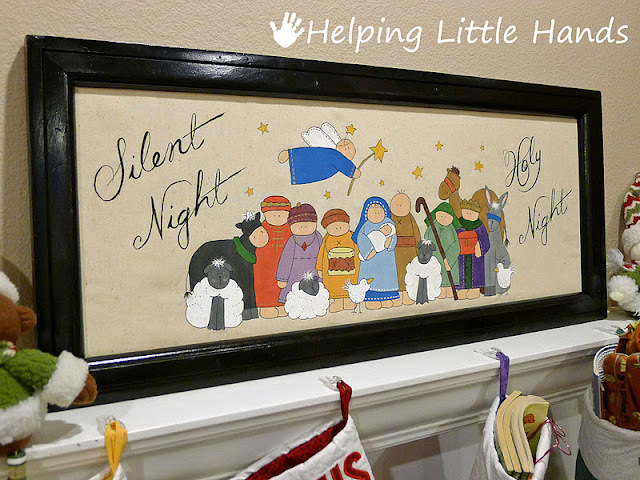 I am also still in love with this Hand-Painted Nativity Scene. I made several of them as gifts last Christmas. Back about 2 years ago, I did a series of felt food tutorials. Readers loved them and that was when I really started to see my readership grow (even though as you'll see...my photography skills were not nearly as developed then). My kids still play with their felt food all the time...and I can't wait to finally make their kitchen to go with it sometime after the move...hopefully next summer. I've got over 25 different felt foods to try making. Many of them are similar to other felt food tutorials you'll see out there while others like the orange peel, blueberry muffins, mini-canned food, and bendable tortilla/pizza crust are my own inventions. Click here for a complete list of my felt food tutorials. 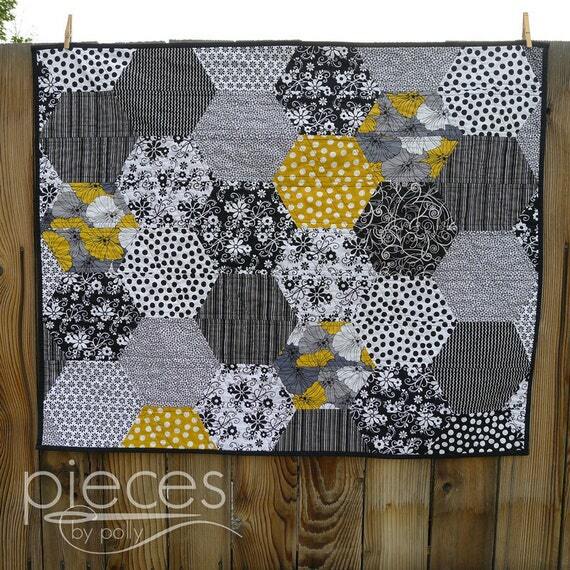 I've loved quilts for years. I can't remember when I made my first one, but I know I have one that I started in 8th grade and it was not my first. I've mostly steered clear of quilting since we had kids because it's such a pain to get the quilt frames out and find the space to do the final quilting. Last year I discovered basting spray and machine quilting, and it's made me fall in love with quilting all over again. 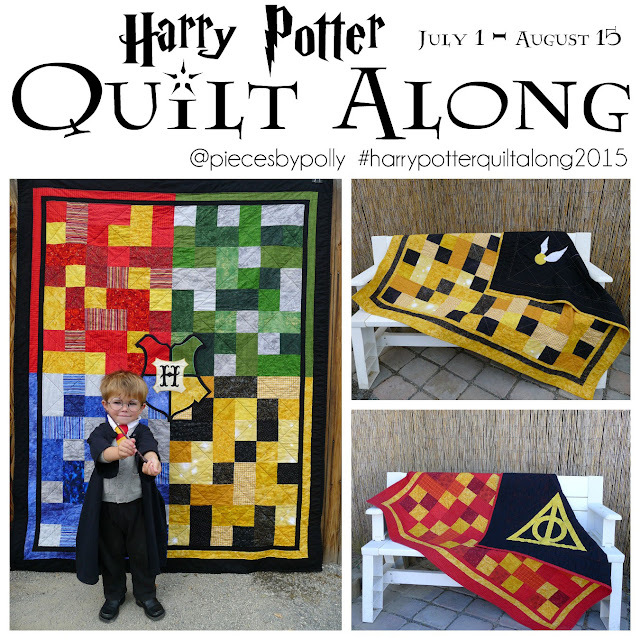 Here are some quilts I've shared on my blog (in most cases with the needed templates and directions/tips). Even though I'm a reasonably experienced quilter, I think even beginners will find most of these manageable. I try to keep my designs pretty simple, so that I'll be able to finish them before another craft project distracts me. I've already got another quilt finished that I need to write about, as well as plans for a few more. And while not true quilts, my tutorials for braided edge fleece blankets have been among my most-viewed-ever posts. I've also been big into upcycling old or thrifted clothes, either by transforming them into something new or giving them a facelift with a little freezer paper stenciling or applique. I've called it Hand-Me-Down REHAB, but whatever you call it...it can be addicting. You can see a photo archive of my projects involving upcycling clothes here. You'll find all the projects pictured below...as well as about 80 more. 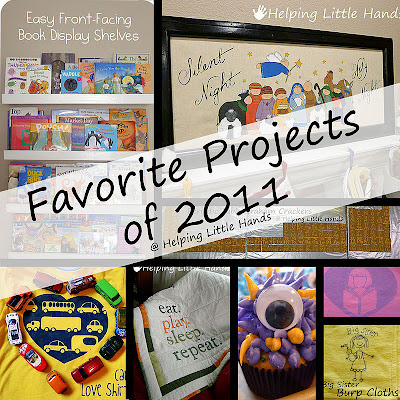 And if you'd like to see a few more favorite projects of mine, click here to see my favorite projects from 2011. 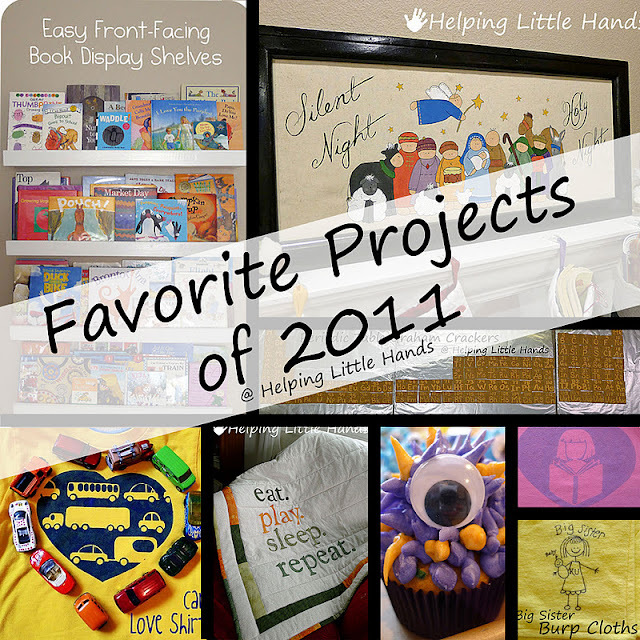 And click here to see my favorite projects from 2010. And I've got a lot of fun projects to share in the coming months... I've already got lots of baby projects posts planned, and with moving into our new house, there are sure to a lot of inexpensive home decorating projects coming. And you never know what random crafty awesomeness will pop up on a whim one day. I never would have thought of "Felt Food" - that is a cute idea! Would love for you to come by and link up on Monday at my "Get Inspired" Monday blog party. Wow - what an amazing roundup, Polly. What fun to remember all these wonderful projects. 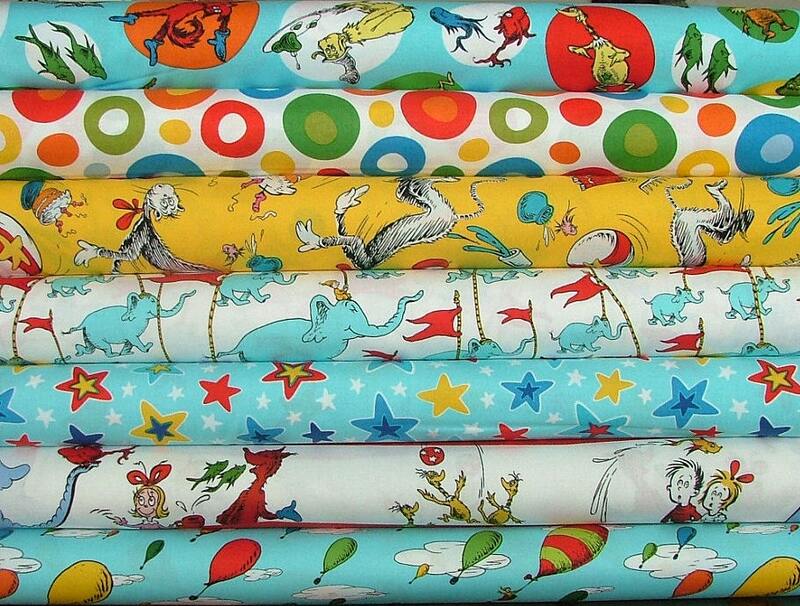 Your quilt collage reminded me that I need to get started on a project I have for a certain sweet little baby boy! I was so excited to see your felt food. I'd love it if you'd link up to my linky party at www.becca-homeiswheremystorybegins.blogspot.com. I write three blogs; my homelife blog, kindergarten blog, and literacy blog. I know you're a child centered person, so if you'd like to check them out, you can find links to all three at www.homeiswheremystorybegins.com.